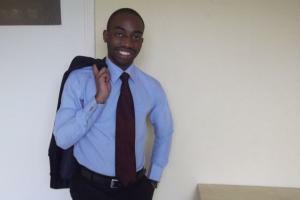 My full names are Reuben Chipenge, 22 years of age and a Zambian by nationality. I was originally studying Business Administration (general) at the Copperbelt University in Zambia. In my final year, I was awarded a scholarship by the Kofi Annan Business School Foundation to study my final year at HU University of Applied Science-Utrecht as an exchange student. My current study is International Business and Management Studies with International Business for Emerging Markets (IBMS) as the minor. My degree requires me to do an internship and a graduation project before it can be given. I am pleased that mine will be with Fair2. I shall conduct a feasibility study for the establishment of a shared, innovative business and incubation centre in North Tongu, Ghana. The study will clearly provide the various scenarios or indeed considerations through different key factors. It is from these scenarios that alternatives shall be generated. All alternatives shall be weighed and the best will be selected. A critical analysis of the ideal location shall be performed in line with the available options. The hoped result of the incubator is that it will enhance economic growth in that region of the country (Volta region). The region is economically backward and has only limited infrastructure necessary to develop entrepreneurial advancement for the locals. Through the Incubator, participants will be educated on matters of entrepreneurship and innovation. This will also be a place where they can grow and improve their ideas. Networks and relationships shall be encouraged from the incubator to the outside world. Entrepreneurship is a tool that brings about innovation and is certainly ideal for development. The focus will be on ensuring that a good proportion of the inhabitants attain economic well being. Emphasis shall be placed on the development of ‘fair’ or ‘social’ business concepts. With these concepts our participants can provide employment for the locals as well as quality and affordable offering for the general populace. It is an international concept, sharing experience and knowledge all over the world, in this case with Dutch companies and professionals and Ghanaian companies and future management. The start-up period will be executed together with volunteers from Fair2, The Netherlands, and high potentials in Ghana. The last group can run the centre after this first period. We are now looking for volunteers with a background in entrepreneurship development in the global south. Are you interested in playing a role in this concept, please send a mail to info@fair2.org. We expect the whole start-up period will cost us €30.000. After this period we assume it can grow independent and break-even. We are looking for investors for this amount. If you believe in the concept, just like us, please help us and invest a small amount. We believe in social investments, which means that you invest an amount that you are receiving back after five years. You could also decide to re-invest the amount in a new centre. Besides we could also use small donations just to start the centre. Investors: you invest at least €500,- or multiple this amount. If you are really interested in donating or investing in Fair2’s first shared, innovative business and incubator centre, please read more on www.fair2.biz.